What a grand time I have sharing multisensory and joyful writing-to-read lessons in local classrooms! 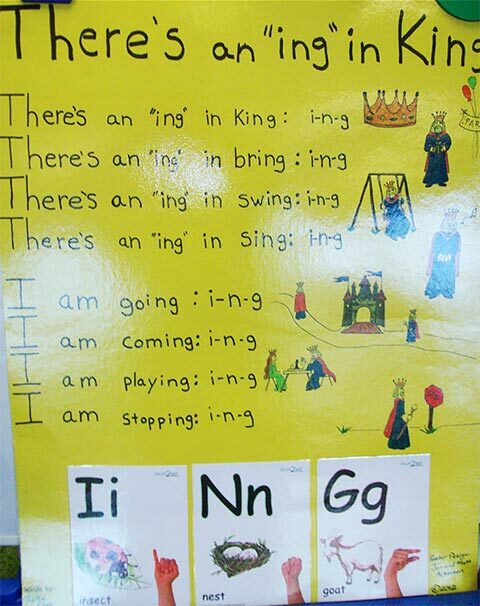 An invitation a couple of years ago to write a song that teaches “i-n-g” was all I needed to create this sing, sign, and fingerspell song There’s an “ing” in King: i-n-g. I have now expanded the lesson, and here is how I present it to the children. Kindergarten friends, let’s learn how to sing and fingerspell our King of “ing” song so we always remember how to write “ing” as a sound on the end of words such as: “going” and “playing.” Help me think of other words that end in “ing.” I am ____ing. 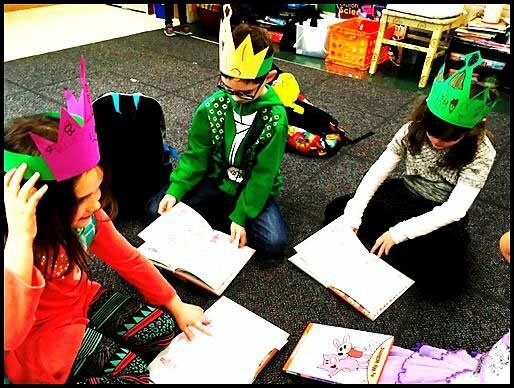 Glimpses of the King of “ing” lesson: What do happy engaged learners look like? Select the right Elephant and Piggie books for “ing” hunting (see recommended list). Attach a sticky note on one “ing” page, and give students more notes to attach under each “ing” word. How many can they find? Take advantage of how the brain learns best: the brain creates multiple memory hooks through music, sign language, and emotionally engaging teaching. Sing, sign, and fingerspell There’s an “ing” in King song repeatedly. Sing fast with the music as a model. Then sing slowly to teach the song. Return again to the memorable music. 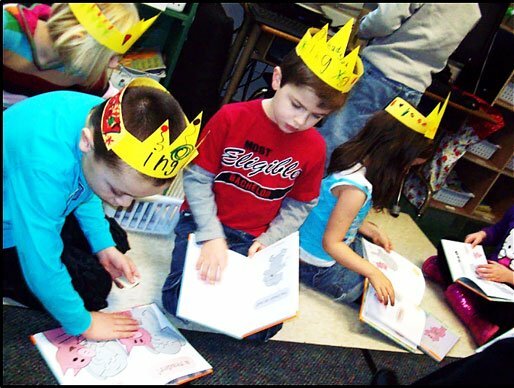 Invite children to use their detailed drawing skills to decorate crowns and write “ing” or King of “ing” on their crown. They can listen to the music and sing the There’s an “ing” in King song while they work. Have fun. Take pictures! Every crown will be unique. 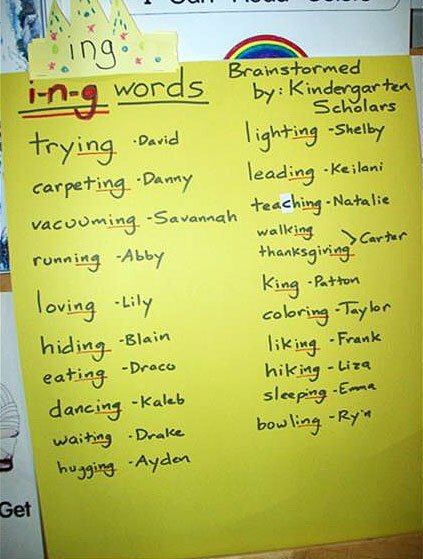 Children can also find “ing” words on the walls: Notice the Reading Is Fun poster. The transfer to writing is powerful once children have this song in their long-term memory! Both less experienced writers and more proficient writers are proud to display their new skills during writing workshop. This Is Always a Good Time for Another Short Focused Handwriting Lesson! And when someone says, I’m not the king, I’m the queen. You can respond, Oh yes! You’re the queen of the ‘King of ing’! Enter into the playfulness and drama of royalty: when you tape the finished crown on each child’s head, graciously curtsey or bow down and say, I crown you King Joshua: the King of ing! You can always draw a person wearing a King of “ing” crown. Our goal is to transfer new skills to the reading and writing process. Now find “ing” Words in Elephant and Piggie books. 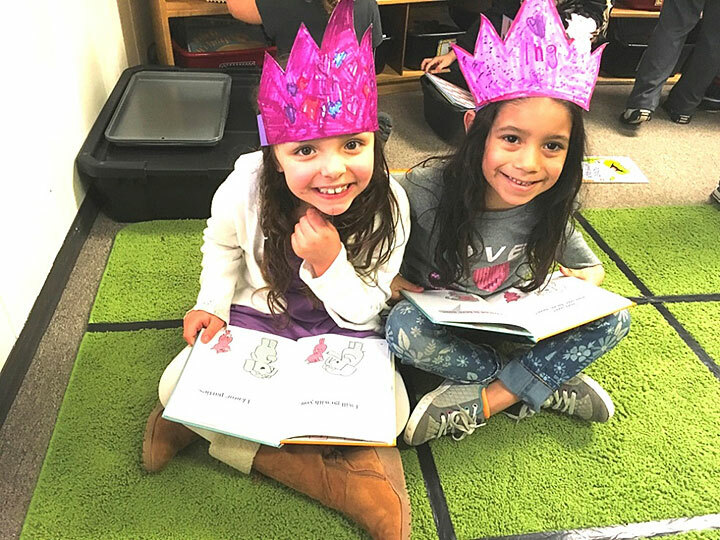 Some Elephant and Piggie books feature many “ing” words: Time permitting, students can share their book and “ing” word with the class. One child decided: Mo Willems probably learned about the King of “ing” when he was in kindergarten. 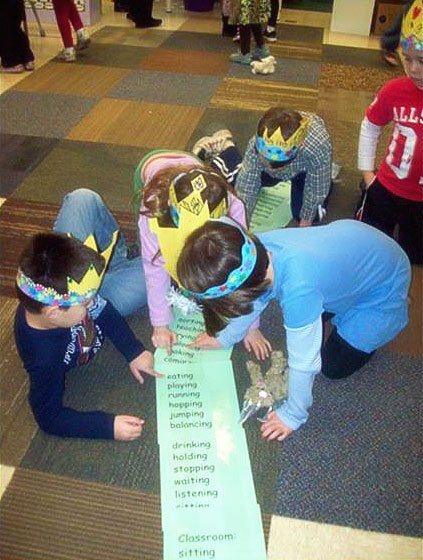 Present an interactive writing lesson and make an anchor chart. Present a word family lesson with white erase boards: Write King, erase the “K,” and make the word sing. What letter do we need? 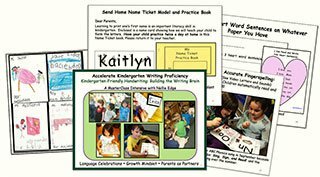 Each year the King of “ing” Lessons Inspires New Literacy Connections: Long Lists of Words, Class Books, and Powerful Memory Hooks. Forever! 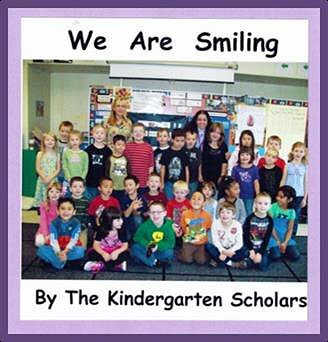 This class book featured photos of the children “doing” kindergarten activities. Why are you learning the King of “ing”? Wow! How did you teach your brain to remember “ing”? I crown you King of “ing”…I curtsey in honor of your royal majesty. You focused and carefully wrote “ing” with good handwriting—it’s so easy to read your work. Look at your crown! You really fancied it up: that is what kindergarten artists do! Every crown is uniquely different. Tell me about how you designed your crown. What shapes did you use? I bet you can go home and think of more “ing” words to add to our list. Now you’ll always know how to write “ing”! 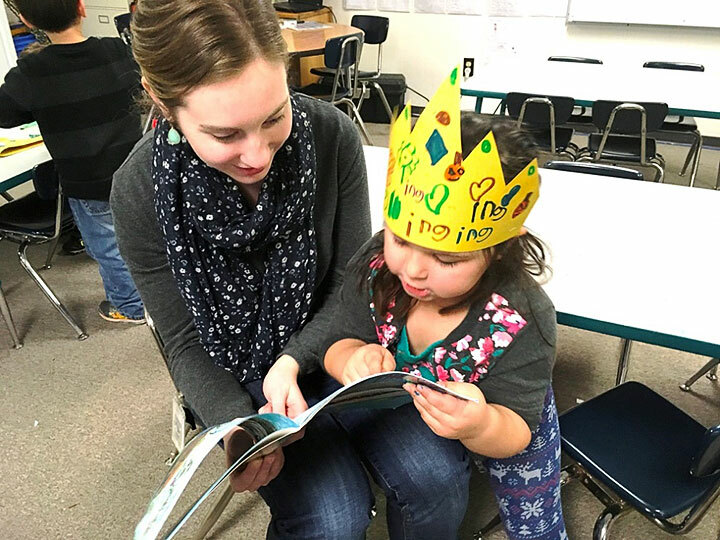 Give students their own copies of the “I Can Read” Anthology Page: There’s an “ing” in King. 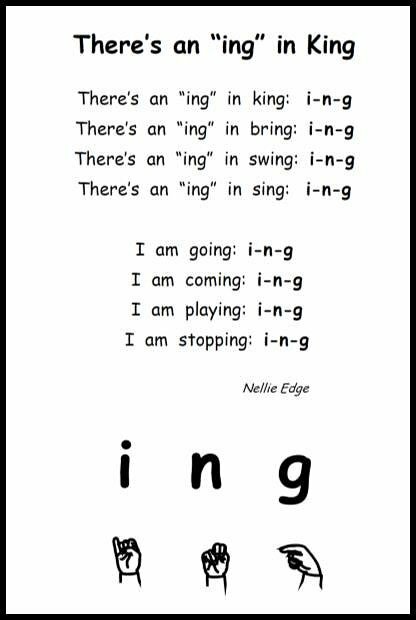 Peruse NellieEdge.com Sight Word page for more video clips of memorable sight word practices. 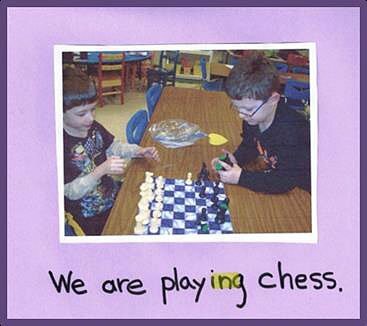 This playful strategy is documented in Nellie Edge Online Seminar (NEOS) #3: Best Ways to Teach Sight Words. The entire Sing, Sign, Spell, and Read! program is included as a FREE download, and incorporates fingerspelling strategies from NEOS #1 and handwriting from NEOS #2. Nothing lights up the brain like playing, singing, and signing. We need to infuse our literacy lessons with music, multisensory teaching, and playfulness. Multisensory teaching through music and sign language creates powerful memory hooks. 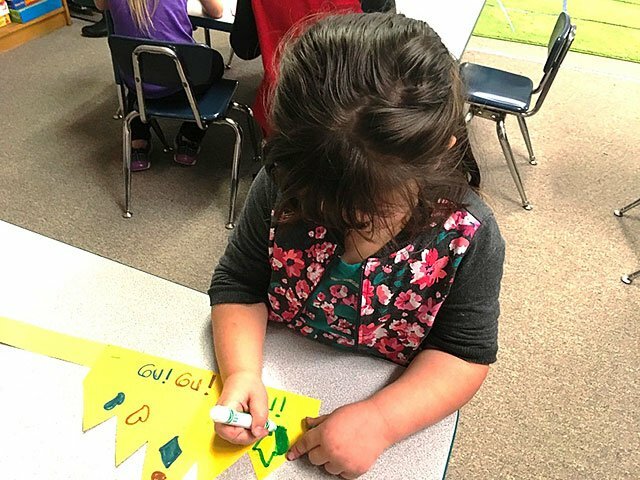 Handwriting is best practiced in a meaningful context with real words and literacy events (not as isolated drill). Phonics lessons with word families can be playful. (Some sounds are hard to hear and you need to remember them “by heart.”). 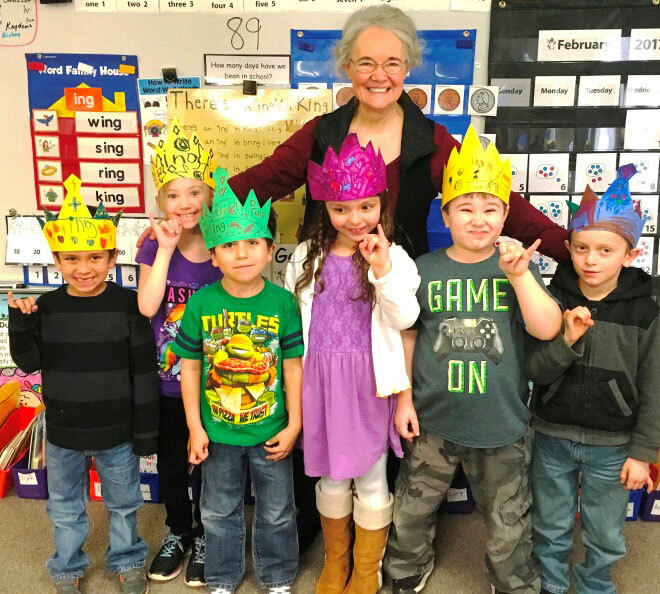 Kindergartners always love making crowns! 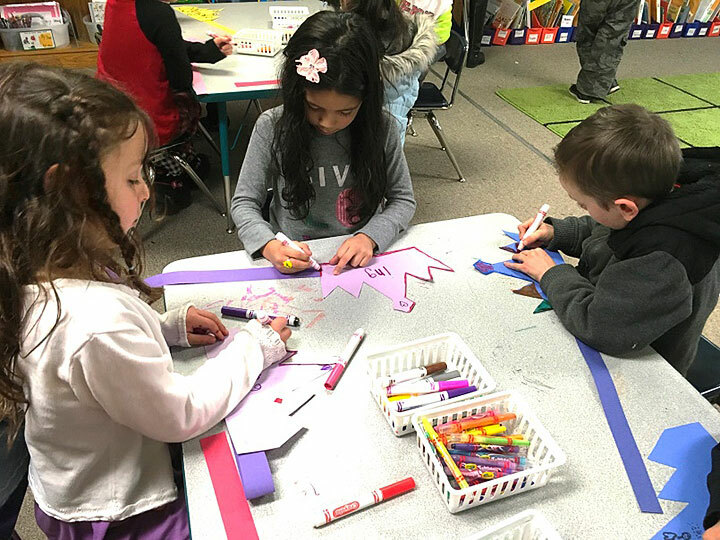 Best practices in kindergarten writing address multiple skills and differentiate learning through lessons rich in the arts! RF.K.3 Know and apply grade-level phonics and word analysis skills in decoding words.